The zombie dung flies are back. It is early April, and the world of insects is finally warming up. I've spotted more of the "zombie" flies, paralyzed by fungus, that were cropping up last year in early March (“Zombie Dung Flies,” March 1, 2015). I've seen a few snakeflies lately. These used to be included in the order Neuroptera with the lacewings but scientists have given them their own order now, Raphidioptera. Their long “necks” are distinctive. They are welcome guests in my garden as they eat many small pest species, such as aphids. The female has a long ovipositor (egg laying structure) on the end of her abdomen for depositing eggs in the furrows in tree bark. 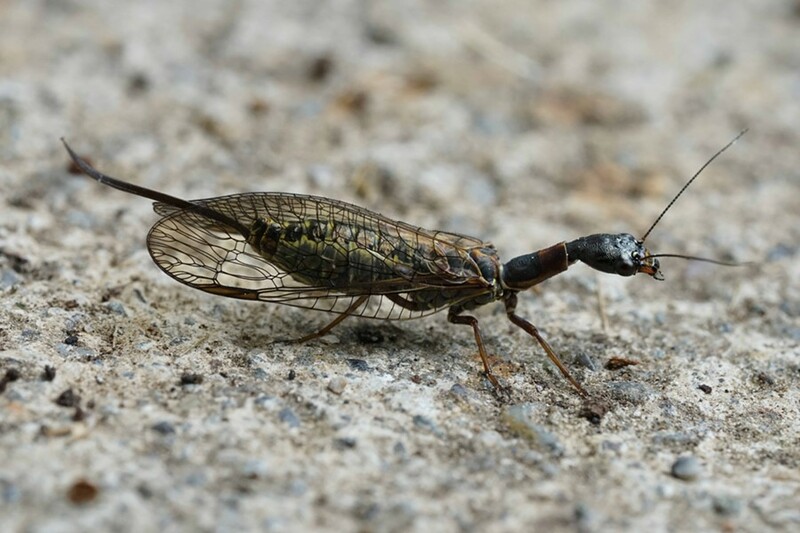 A female snakefly measuring a little over ½ inch long. Some of the solitary long horned bees (tribe Eucerini) have been very active on my rosemary lately. Only the males have the distinctive antennae that give the group its name. I've also seen females nesting in the dirt of my strawberry bed, which is OK by me. Compared to honeybees they are nervous little creatures, darting from flower to flower almost too quickly to follow. 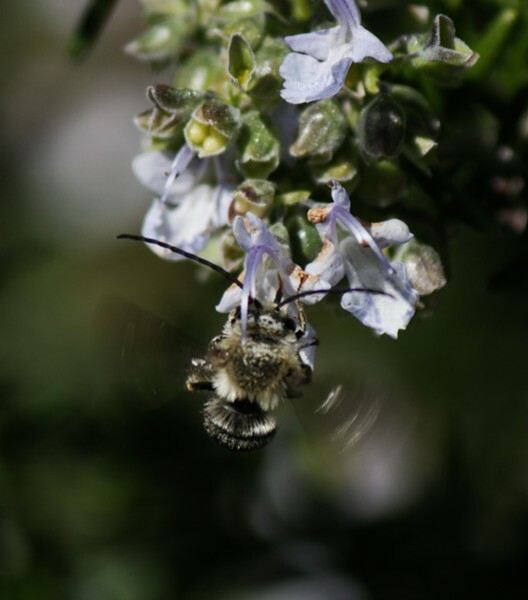 A male long-horned bee on a rosemary bush. 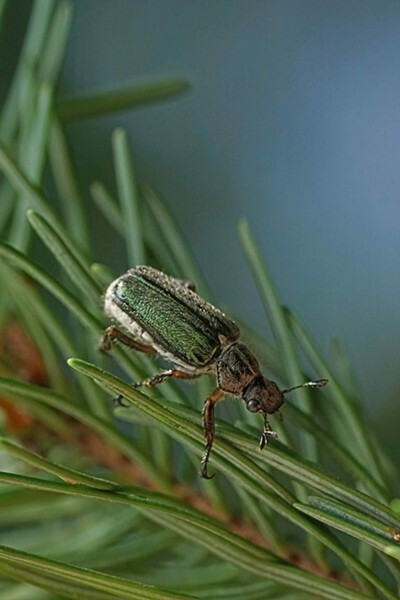 And Dichelonyx scarabs are flying around a fir tree in my front yard. I think they are attracted to the tender new growth. These fuzzy, metallic green beetles are a little smaller than honeybees and might be a problem if there were a great number of them, but I only see five or six a day. I think a 20-foot tree that survives trimming with a string trimmer can support that many.